What happens when you realize you aren’t as good as you thought you were? That, after devoting over half your life to one pursuit, it didn’t work out? This week’s PYP MVP Siphiwe Baleka knows exactly what this feels like…and shares his story of personal reinvention, reclamation and redemption with us on today’s episode. Siphiwe Baleka was raised in Chicago by a single dad and went on to graduate from Yale University. He is the first African American ever named to the First Team All-Ivy League Swim Team. He missed qualifying for the 1992 Olympic Swimming Trials in the 100 freestyle by just eight tenths of a second and that one event changed his life — and position — forever. Currently, he is the founder of Fitness Trucking, LLC and serves as the Driver Health and Fitness Coach at Prime Inc., one of America’s largest trucking companies. His innovative, on-the-go wellness program has helped thousands of truck drivers lose weight and reclaim their health (69% of truck drivers are obese; the trucking industry is the least healthy of any industry in the country). 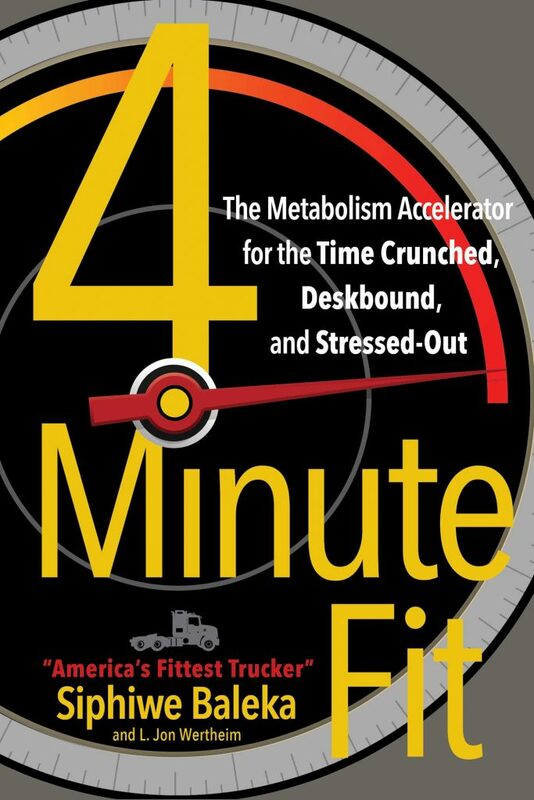 His premise is that ANYONE with 4 minutes can get fit, and he’s written a book called 4-Minute Fit that takes readers through his simple and effective program. What works for truckers can work for any sedentary person! Reconnecting with his inner athlete, getting fit and returning to the pool at the Master’s Level took Siphiwe Baleka into the end zone for that game winning touchdown. Get Siphiwe’s awesome offer here!